This season, the Toronto Children’s Chorus has created a jam-packed year of concerts and events in celebration of our 40th anniversary. 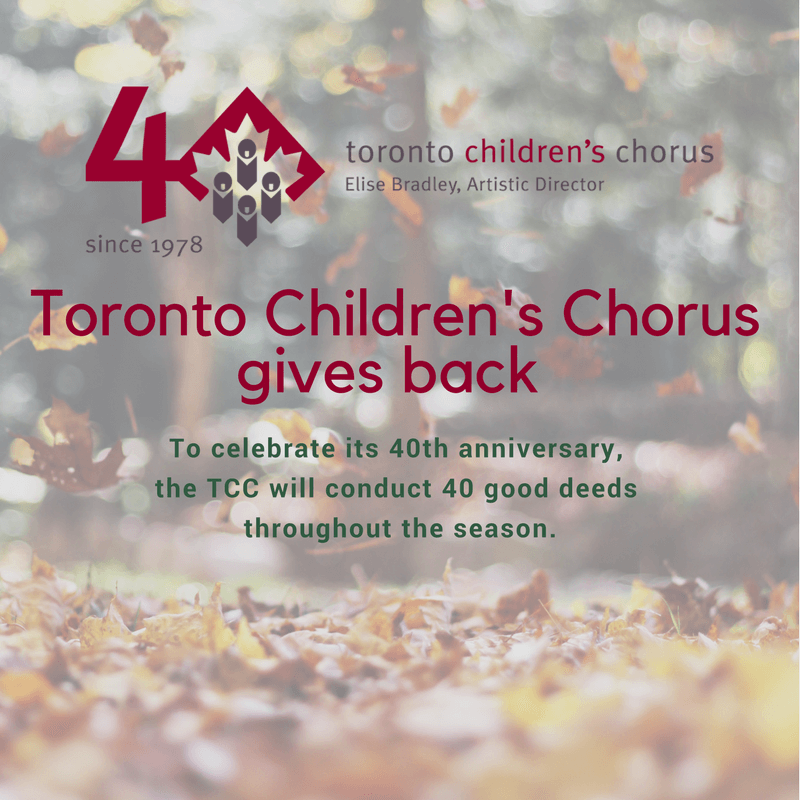 As part of our celebrations, the Chorus is conducting 40 good deeds to give back to Toronto. So far, the TCC has donated used clothing, pet supplies, personal hygiene products and toys to those in need. Choristers and staff have also given their time to a number of charitable causes. Naturally, the Chorus also wants to show its appreciation by performing for the local Toronto community. This February, we invite you to three FREE concerts! 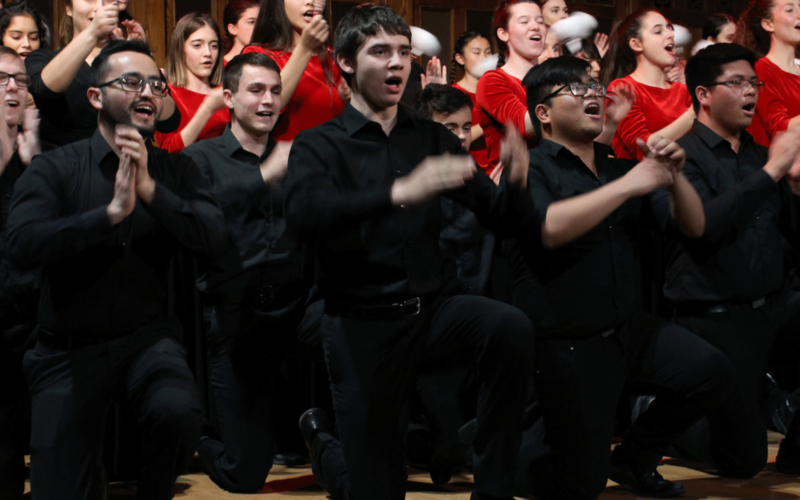 The TCC’s senior choir (including the award-winning touring choir) and Toronto Youth Choir will welcome February with stunning repertoire on Sunday the 4th. Catch this free concert at Calvin Presbyterian Church at 4pm. On February 20th, Toronto Children’s Chorus Main Choir (that’s about 100 senior choristers!) will perform at 7pm at Calvin Presbyterian Church. Finally, the Chorus is incredibly excited to present a joint performance with Sistema Toronto on February 21st! TCC’s Training Choir III and ensembles from Sistema Toronto will sing their favourite winter and movie-themed songs at Calvin Presbyterian Church starting at 7pm. Sistema Toronto uses ensemble-based music education to transform the lives of at-risk children. Training Choir III choristers can’t wait to sing with friends from Sistema and hope that you will join our audience on the 21st. Catch one or all of our free performances this February!